Family law pits loved ones and sometimes whole families against each other, yet children must have these same people coparent them. 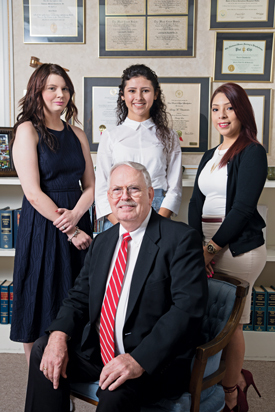 Larry Chamberlin is known for his effective skills, handling contested cases since 1988. Board Certified in Family Law, he is also seasoned in probate, estate planning, criminal defense and civil litigation. Experienced assistants take great pains to assure clients’ needs are being met. Earning his JD from Tulane Law School, he was elected to the national Order of Barristers in 1988; Larry received a Masters in International Business Management at UT Dallas. He was accepted into Mensa over 30 years ago; in 2006, while attending a Juvenile Forensic Psychology program, he was elected to Psi Chi, the prestigious psychology honor society. Chamberlin Law & Mediation is certified by the BBB.